He was born and raised in Panama City, Florida. He has lived all across the southeast and has served as Worship Pastor at churches in Tennessee and Mississippi before God moved his family here to South Carolina! He is married to Ellen and they have two kids and one on the way - Madelyn (8) and Jude (5) and their little baby boy Flynn will be here in December! He has been singing and playing guitar for 22 years. He started out studying classical voice singing more in foreign languages than in English. He prefers leading worship in a more contemporary setting, but has performed music in nearly every genre. “I think the unending assortment of styles and interpretations of music is amazing!” Jordan said. He stays pretty busy as he serves our church and leads our Music, Production and Creative teams. In his extra time, he enjoys songwriting, hanging outside around the grill, traveling and running, but he says that nothing beats just hanging out with his family and playing with his kids! His favorite Bible verse is, "We have this hope as an anchor for the soul, firm and secure..." Hebrews 6:19. He said that this passage of scripture inspired the bridge to one of our songs “Grace Finds Me Here.” He loves considering the strength of God as an anchor at every moment in our lives. Jordan said that his favorite thing about worship is how God designed it without limitations. While we often view it as the singing of a song or praying a prayer, God designed it with the utmost creativity. He believes God loves to hear our songs and our prayers, but He also wants our attention, our friendship and our hearts. He was born in Mount Vernon, Illinois, where he spent the early years of his life and later moved to North Augusta in 1995. A lot of those early years were spent at his grandparents' farm listening to his grandpa playing electric guitar along with his favorite musical TV shows in the evenings. 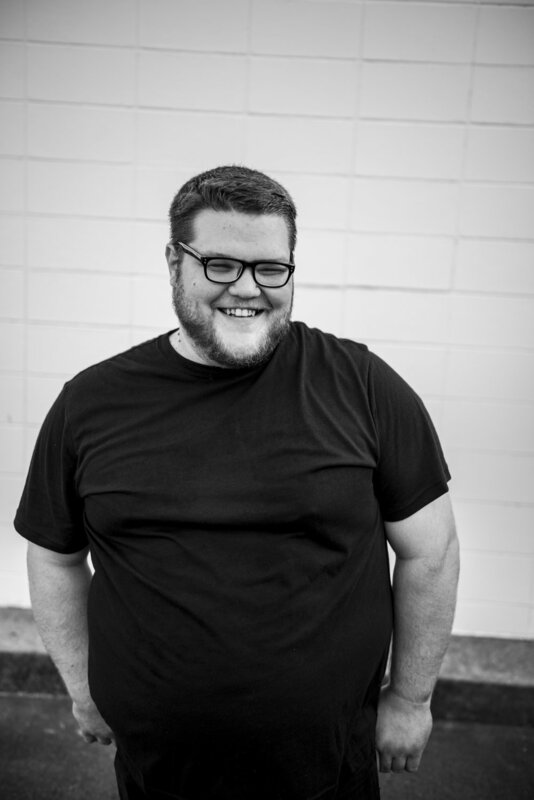 Brent served in several different campus ministries while attending USC Aiken, and led worship for their gatherings, and also filled in leading contemporary worship services at several area churches since then. He started attending TrueNorth somewhere around late 2006, and not long after started filling in with the worship band until he become a regular fixture of the team. He said that he loves that we are one big family that shares in the ups and downs of our daily lives. 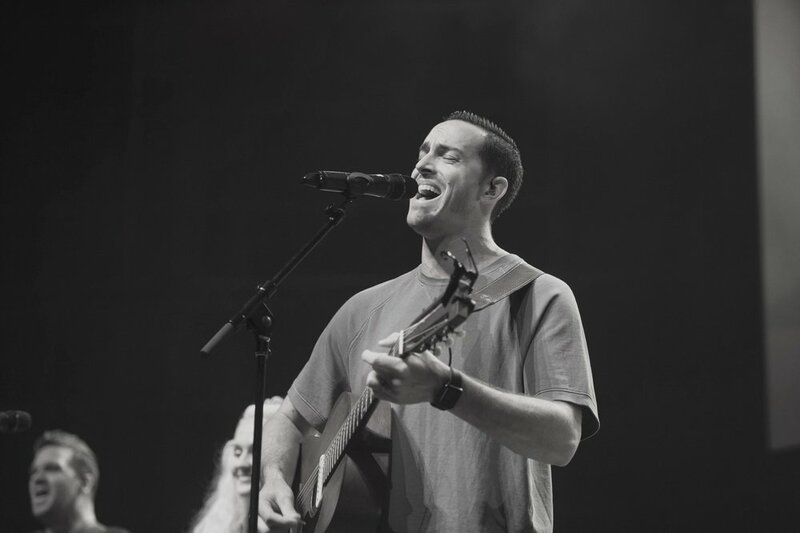 “My favorite part of leading worship is seeing faces of those in the crowd whose stories I've shared in, whether through everyday friendships or through Journey Groups, and feeling much of what they feel in connecting with the songs we are leading.” Brent said. One of his favorite things to do outside of making music is photography. For him, capturing God's creation in a way that attempts to do it justice is a lot of fun. He has plenty of material to work with now, too, as his wife Torie and him just welcomed their twin boys, Judah and Abram, into the world November 9th! He also enjoys taking in as much music as possible in the car and at home, listening to everything from pop to country, rap to gospel, and especially worship. Needtobreathe, Phil Wickham, Lauren Daigle, and Crowder's latest stuff are usually in heavy rotation. When asked about his favorite scripture he said that he has several favorite verses but one he likes to remember is Proverbs 22:2. "Rich and poor have this in common: The Lord is the Maker of them all." He believes he is certainly not "rich", and he doesn’t think anyone living in our country is "poor" to the rest of the world. But as all of us have different lots in life, it's important to remember that we were all created by the same God, and none of us is any more or less worthy of what we've been given than the next. She was born and raised in Augusta, Georgia. Her earliest memory of singing was when she was 3-years-old. She remembers leaning up and in between the console of the car beside her mama singing “True Colors” by Cyndi Lauper. Her Dada (grandfather) was her main influencer to start singing as he always found a reason to sing anywhere and everywhere he went. Some of her other hobbies consist of reading, cooking and learning. She loves to write about what she is learning or whatever is inspiring her. Creating inviting and warm environments is what she intentionally tries to do everywhere she goes. Laughter is her favorite thing to bring to all that she gathers with. She is known as “Mrs. Smith” at Hammond Hill Elementary where she is a fifth grade teacher. Her son, Max, a.k.a her “fave-fave”, is 10-years old. Her husband Levi and her absolutely adore him. He is their whole world. Her favorite song of all time is “His Glory Appears” by Hillsong Worship. When it comes to worshipping through music, Angela’s favorite thing is that she is able to feel and experience God and everything His presence brings, all while declaring and proclaiming His promises over everyone else. Some of the worship leaders that influence her are Natalie Grant, Brooke Ligertwood and Rita Springer. She is stirred up spiritually by people like Lisa Bevere, Priscilla Shirer and Louie Giglio. He was born in Fort Worth, Texas, but his family moved to North Augusta when he was five-years-old. Fun fact: His dad is the Associate Pastor, Gene Jennings, at TrueNorth! Cliff has been playing guitar and singing for 20+ years. Several people inspired him to play and sing but his biggest inspiration was from his Bepop. “He always encouraged me to learn and gave me my first chord books so I could teach myself,” Cliff said. One of his favorite things to do is to go fishing. He is also a carpenter and can build just about anything. He does Mortgages for a living and he has been married to his supermodel wife for almost 7 years. Amanda and Cliff have 3 kids under the age of 5: Elijah, Emersyn, and Sanders. It was almost impossible for him to pin a favorite song or band of all time but if he had to narrow it down, it would be “Vienna” by The Fray and “Easy” by The Commodores. Currently, you can catch him listening to “Mercy” by Brett Young or “Here Again” by Elevation Worship. He was born in Fort Riley, Kansas. His parents were in the military so they moved around a lot at that time. But before he was one, they moved to North Augusta and they have lived here ever since. Skyler’s mom is musical so he grew up singing with her from a very young age. He started playing drums when he was 8-years-old. When he was little, he wanted to do whatever his older brother did and his brother began to play drums so he copied him and chose to start playing too. However, his brother quickly chose to switch to guitar but Skyler stayed with the drums. “If it wasn’t for that experience I may not have ever started. So I guess I owe my drum history to my brother!” he said. Playing drums was a regular part of his life before he started playing at TrueNorth in 2011. In High School, his heart was pricked that he wanted to lead worship through singing and this decision led him to wanting to play the guitar when he was 13-years-old. He has been working on guitar ever since. Joel Houston has been his biggest influence in worship leading since that time of his life. Hillsong United was his first experience in modern worship. He had a wild childhood as he grew up with 3 other brothers. A fun fact about Skyler is that he has broken four bones! His three brothers are Jeremy (31), Zac (27), and Brycen (17). He has been married to Carrie for 2 and a half years. Some of his other hobbies include playing board games with his wife and friends, streaming on twitch at twitch.tv/formaglorday, playing video games with his brothers, listening to music, and playing music! Also, he loves Harry Potter. His favorite band of all time is Falling Up. He grew up playing their songs and listening to them with his brother. “Currently, my favorite band to listen to is Novo Amor. A close second is Joan,” Skyler said. December has been a big month for Skyler as he turned 24 and received his Associate Degree in Nursing from Aiken Technical College. She was born and raised in North Augusta where she grew up at First Baptist. Her family was asked by Pastor Steve to help start up a new church, and she has been at TrueNorth ever since. Her entire childhood was spent wanting to move away from North Augusta and experience the world. But when she finally moved, it didn’t work out the way she had hoped. “My freshman year of college, I attended Anderson University. That wasn’t cool enough for me, so I then transferred to Clemson University. I thought that my life would finally come together while attending Clemson and I would have that awesome college experience,” Taylor said. God had a different plan in mind, and she moved back home. She believes this was the biggest test of her faith so far in life. “It was one of the hardest things I’ve ever had to do and I still get upset about it sometimes. But, coming home has really opened my eyes and I have grown so much since,” she said. Fun fact: her entire family roots for the Carolina Gamecocks and her brother even went to USC. But she was the traitor that went to Clemson anyway. Some of Taylor’s favorite worship songs right now are “For the Cross” – Jenn Johnson,” “Here as in Heaven” – Elevation Worship, “Yours (Glory and Praise)” - Elevation Worship and “So Will I (100 Billion X)” - Hillsong Worship. Some of her favorite artists include Sam Smith, Penny & Sparrow and Adele. One of her favorite verses is 2 Corinthians 12:9, “But he said to me, ‘My grace is sufficient for you, for my power is made perfect in weakness.’ Therefore I will boast all the more gladly about my weaknesses, so that Christ's power may rest on me.” She loves the hope that this verse offers for us to trust that in our weaknesses, Christ makes us strong and we can rest in His power. When asked about her favorite thing concerning worship, she said that it is the moment when she closes her eyes and forgets about everything else like worrying about what people think, what she looks like, or how she sounds. “Im just solely focused on my praise to God. That’s what it’s all about,” Taylor said. He was born and raised in Augusta, Georgia. He started playing the drums when he was 9-years-old. One day his dad brought home an old kit originally intended to play for his mother and that’s where it all started. His dad played for 30 plus years and is his biggest influence. Back when TrueNorth was just becoming a reality, a few of the men who were a part of starting up the church saw Justin playing at a public venue. This is what introduced him to playing at TrueNorth. Justin started playing drums at TrueNorth when he was 12-years-old and was a part of the original band. Also, he played with a wedding band for about five years and has always played off and on with some old friends around the downtown and metro Augusta area. A fun fact about Justin is that he is genuinely ambidextrous. He said he has no hobbies because all work is play and fun for him. Currently, he is the Grovetown Chick-fil-A’s Operations Director. Justin has worked for different Chick-fil-A restaurants in the area for years and is an expert at multiple roles within the store. When asked about his favorite music, “Landslide” by Fleetwod Mac was named his favorite song of all time. His current favorite band is The 1975. However, KISS is his favorite band of all time. “What I love about worship is always being humbly reminded of my role in serving the Lord that I’ll never deserve - it’s an emotional experience for me each Sunday I play and am able to serve that way,” he said. He was born in Augusta, Georgia, and has lived in North Augusta for the majority of his life. He has been on staff at TrueNorth Church for 6 years and is currently the Music Director. He is married to Kayla, who is also on staff as the Children’s Pastor. Michael began picking up instruments in the 2nd grade. This started with the saxophone but over the years has led to him being prolific in bass, electric guitar, acoustic guitar and keys. “I really just try to play any instrument I can get my hands on,” he said. Some of his favorite hobbies consist of buying shoes and playing golf. He also loves to run because he loves to EAT. If you know Michael, you know he can throw down some food. When asked about his favorite music, he said, “I listen to just about any type of music. My favorite song right now is Pope by Copeland. They also happen to be my favorite band of all time. I also listen to bands like LANY, The Band Camino, Bon Iver and Novo Amor”. Two of his favorite Bible verses are Isaiah 41:10, “So do not fear, for I am with you; do not be dismayed, for I am your God. I will strengthen you and help you; I will uphold you with my righteous right hand.” And John 3:30, “He must increase, but I must decrease.” He said that he loves these two verses because one is a set of promises from God and the second is a reminder to live a surrendered life. Fun fact: Michael has John 3:30 tattooed on his left bicep! Michael said that his favorite part of playing worship music is that God instilled a passion for music in his heart and he gets to use that same passion to lift high the name of Jesus. Danny’s parents came from the Dominican Republic to the United States and made home in Lawrence, Massachusetts, where he was born. They didn’t stay there long as his parents decided to move to a small town in upstate N.Y. called Lake Placid (and no there is not a giant alligator there). They later moved to North Augusta, South Carolina, when Danny was 6-years-old. He started playing drums officially when he was 10-years-old. But when he was a toddler he would play on anything he could find. “I would listen to a song and play the vocal melody on pots and pans on the kitchen floor,” Danny said. In 6th grade, he joined the school band and as he transitioned to high school he joined the marching band where he played bass drum, marching snare and quads. He also started playing drums in local bands in 10th grade. This involved playing small venues around the southeast through high school and college. When he started attending TrueNorth about 6 years ago, he fell in love with the music and finally joined the worship team in 2014. Danny said that TrueNorth Worship is literally family to him. “Fun fact, Nick (guitar player) is my brother-in-law and Olivia (vocalist) is my sister-in-law!” he said. Outside of playing drums, he cherishes spending time with his wife, Emily, and two children, Grayson (3) and Elsie (10 months). This verse is special to him because it is a wonderful reminder of how Jesus changed him from darkness to light. Therefore, he strives to live as a child of God who gets to live as a Light for Christ in everything he does. He was born in Lyerly, Georgia, but grew up in Augusta. He started playing guitar and singing at home when he was 14-years-old. Then, at 15-years-old, he began to lead worship for his youth group because he was the only one that played an instrument. Growing up, some of his biggest worship influences were Chris Tomlin and Hillsong United. But his favorite style of music is 90’s rock. Third Eye Blind is one of his favorite bands of all time. Joseph and his wife Lisa currently live in North Augusta and have two children, Cate (7) and Cole (4). They started attending TrueNorth in 2008. In the summers of 2009-2011, he had the opportunity to travel around the U.S. leading worship for LifeWay Fuge Camps. In 2013, his family moved to Columbia. However, after 2 years, the Augusta area sucked them back in and they were happy to reunite with their TrueNorth family. His favorite verses are Philippians 4:6-7, “6 Do not be anxious about anything, but in every situation, by prayer and petition, with thanksgiving, present your requests to God. 7 And the peace of God, which transcends all understanding, will guard your hearts and your minds in Christ Jesus.” These verses are ones that he constantly returns to because he tends to be a worrier. They remind him that the God he serves doesn’t want him to be anxious about ANYTHING. One of his favorite things about worshipping through music is that it has always been a way for him to personally connect with God, whether he is leading other people or just in the car by himself. 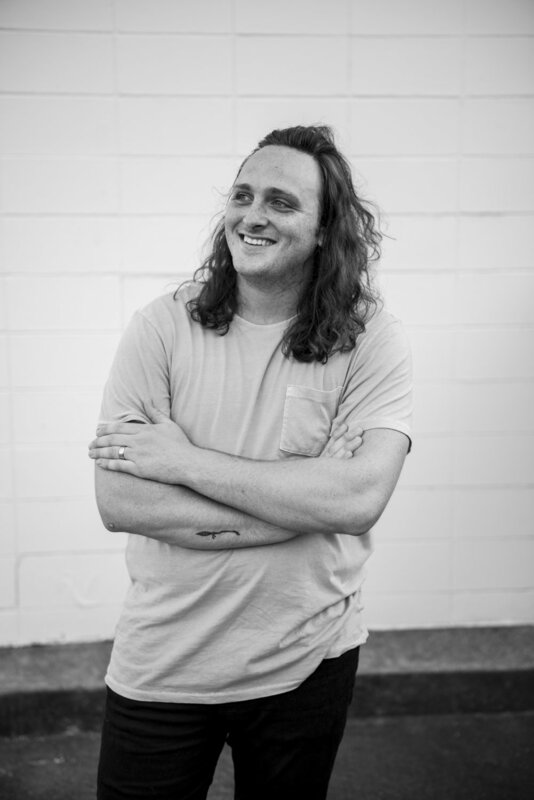 “Leading worship has always been a way that God has gotten me out of my comfort zone because I am actually a very introverted person and to this day being on stage is still out of my comfort zone even though I love it!” Joseph said. He was born in Augusta, GA, and now lives in North Augusta with his wife, Hannah. They have almost been married for 2 years! Nick has been playing music since he was a little kid. He originally started playing the drums but he never stuck with it. However, in the 6th grade when he went to a friend’s house, he was first exposed to his passion for playing the guitar. His friend had a cool older brother who played and he introduced Nick to John Mayer’s music, which hooked him instantly. “I haven’t put down the guitar ever since,” Nick said. Fun fact: Nick has been in multiple bands and a music video. Also, fellow band members, Olivia and Danny, are his sister-in-law and brother-in-law! Outside of playing music, Nick loves to buy sneakers, travel and eat food! He is a huge UGA fan so he loves watching and playing sports. He is all over the place with the types of music that he likes but his all-time favorite artist is of course, John Mayer. One of his favorite Bible verses is Philippians 4:6-7, “Do not be anxious about anything, but in every situation, by prayer and petition, with thanksgiving, present your requests to God. And the peace of God, which transcends all understanding, will guard your hearts and your minds in Christ Jesus.” This promise of the peace of Jesus has always been a favorite of his. Olivia was born in Augusta, Georgia, and has grown up and lived in North Augusta her whole life. She is the youngest of five kids and remembers running around the house with them singing and dancing all the time. She began singing in church with 2 of her 3 sisters when she was 5-years-old. Her siblings always played outside together and would frequently have talent shows and “circus acts” where they would invite neighbors over to watch them perform. Olivia would always sing for her act. She also participated in things like North Augusta idol and Choir while growing up. Other hobbies she enjoys are reading, writing and running. She loves to have long conversations with others while sipping coffee (coffee is her favorite). She recently got married to Austin in July. She is a student at USC Aiken and is planning to graduate in December of this year with a Bachelor of Arts in Communication degree. Currently, she is listening to the new Passion album, “Follow You Anywhere”, and she has the song “Whole Heart (Hold Me Now)” by Hillsong United on repeat! Some of her biggest worship influences include Taya Gaukrodger, Steffany Gretzinger, Amanda Cook, Melodie Malone and Mariah McManus. Zac was born in Augusta, Georgia, and is the middle child of two sisters. He has always been influenced by music since an early age and originally started playing drums at his church. He started a band and realized he couldn’t afford a drum set of his own so he decided to be a bass player by default because that was available for him to play. He has been playing bass for 10 years and a few of those years have been at TrueNorth. Switchfoot is a band that really influenced him in both how he plays and how he writes music of his own. “I released a self titled EP with my band, Eleventhour, which is still on iTunes,” Zac said. He also released his own acoustic project and was 2nd runner up in the Augusta singer/songwriter completion in 2012. Zac got married to Kyndra in 2017. She has 2 children, Nayla (14) and Jacob (16) and they just added a new addition to their family, Ethan, who was born in November of 2018. His favorite thing about worship is the intimacy with God that is experienced while partaking in it. “Whether I'm in my car or in a full service I can have a moment where I can express my love and gratitude for a Savior that gave me a love that I didn't deserve. The way that I play and sing are physical expressions of that love,” he said. Jessica was born and raised in Anchorage, Alaska. Her family moved to Aiken, South Carolina, when she was 12 because her mom received a unique job opportunity that would cause her family to relocate. The family was willing so they traveled 4,000 plus miles and they have loved living in Aiken every since. She has been singing since she was a little girl. Growing up, she participated in her school choir and she began to sing on the worship team at her old church a few years ago. She is the newest addition to the TrueNorth Worship family and we love having her sweet spirit around. A fun fact about Jessica is that she is an introvert and does not like being at the center of attention. Therefore, she has to step out of her comfort zone when she is on stage leading worship. She admits that there is no other way she would be able to do it without knowing that God is with her. “I think God likes to laugh at me when I get uncomfortable. It's like having an inside joke with Him because He knows my heart is worship but He also knows how uncomfortable I am in crowds. It is also so beautiful to me too though,” she said. One of her favorite songs right now is “Needing You Now” by Meredith Andrews. She loves it because it is a reminder that in any moment of our lives God can restore and bring us healing and peace. One of her favorite verses of scripture is 2 Corinthians 12:9, “My grace is sufficient for you, my power is made perfect in weakness.” She believes this truth, that God’s power is at it’s greatest when we are at our weakest and we can trust that He will never fail!